WHY IS SKIN SMOOTH PRO BETTER? If you are looking for a skin treatment that delivers immediate results with noticeably smoother skin in under 30 minutes, then the Skin Smooth Pro microdermabrasion treatment is for you! The Skin Smooth Pro microdermabrasion system combines noninvasive exfoliation without the use of crystals or other particles, clearing the surface of the skin which allows deeper delivery of your professional exfoliation solutions and skin care. 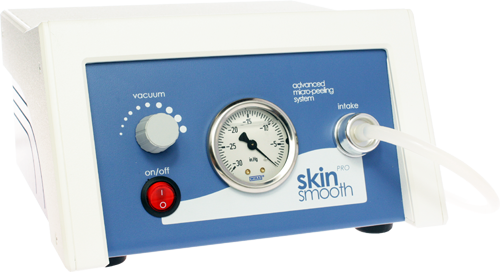 Skin Smooth Pro is exclusively offered through facilities with licensed Aestheticians on staff. The education provided by Skin Smooth Pro comes from a team of experts who have specialized in microdermabrasion techniques and authored protocols for correction.